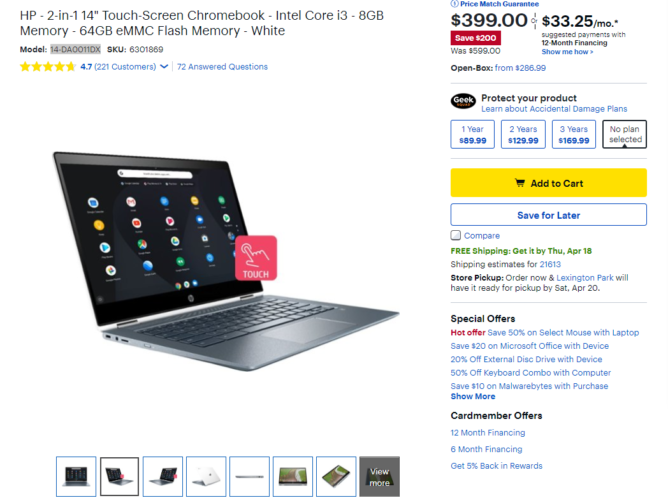 Some Chromebook deals are really interesting, like this one. 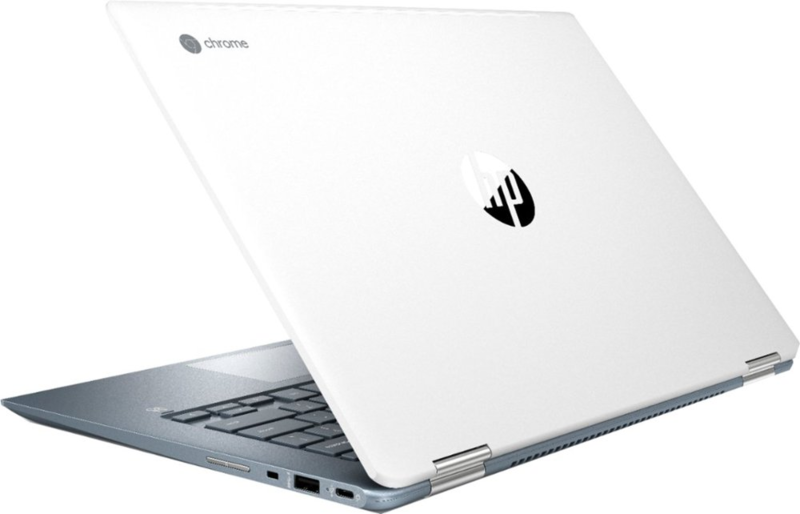 Best Buy is currently offering HP’s 14″ 2-in-1 Chromebook x360 for $399.99, a very nice $200 off the MSRP. All in all, it seems like a solid laptop for that price. We never had the opportunity to review this Chromebook, unfortunately. However, for specs, here’s what you get: a 14″ 360° 1920×1080 IPS LCD touchscreen, an Intel i3-8130U dual-core CPU, 8GB of RAM, and 64GB of eMMC storage. And with it running Chrome OS, you can expect this $400 laptop to perform quite admirably, all while staying secure and up-to-date. HP claims that you can 13.5 hours on the battery, which is great for media consumption and/or productivity. $200 in savings on this Chromebook is pretty good. You can grab yours at the source link below.